2012 and beyond? Is the world going to end? It’s already the end of the first week of the New Year and time is just flying. I’m sure I am not the only one experiencing the hours and days just passing us by in a blink of an eye and this will become more apparent as we move head first into higher consciousness. So what is this higher consciousness or vibration that everyone seems to be talking about? It’s not as drastic as the movie 2012 where a fancier version of Noah’s Ark comes to save a few elite and the world gets wipped out, but rather it’s the death of old consciousness rebirthing into new ones. The old thinking patters of violence, greed, adultery, evil, self-centeredness is replaced by unconditional love, peace, kindness, sharing and caring for each other. A tall order you may say, but more and more people are seeking true meaning to life, wanting a change for the better and I personally see these two extremes happening everyday. I urge you to jump on the bandwagon, ride the waves of change. Start exploring inwards, things that will make you happy, at peace, give more meaning to life and do it soon. So what to do? Start exploring! It may be in the form of a book (my personal favourite is The Alchemist) goggled articles; attending talks that creates a better you, taking better care of your health, going for a personal reading, starting a simple daily meditation exercise of just join one of ours and learn to quiet that mind and relax. And in time a course or even retreats to expand that beautiful consciousness of yours. HeartWorks will undertake this 2012 to conduct more activities to help you kick start this new wave of unconditional love, peace and fulfillment in you, develop the ultimate relationship of all – the one with yourself. So stay tuned! Subscribed to our newsletters, check out our events page and ride the wave with us! 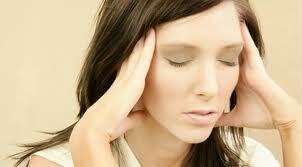 We instinctively go for a massage when we are tired, stressed or have some muscles that needs unknotting. Now there is another more effective way for you to release stress and all those pent up stubborn emotions to facilitate deep relaxation and healing – the Raindrop Technique. A therapy that uses therapeutic grade essential oils on your feet and your spine so that it will be absorbed through the skin and travel down through the dermis levels into the interstitial fluids that run within our bodies. This therapy addresses spinal alignment issues, helped bring relief to chronic pain sufferers and has produced visible improvement in scoliosis. Often many types of spinal problems and misalignments are caused by bacteria and viruses hibernating along the length of the spine. The use of essential oils helps to dispose of these viruses within the spine, helping its structure return to normal. It enhances immunity, cleanses the body of toxins, unwinds tight and sore muscles, tendons, and ligaments, balances and harmonizes the energy and structural systems of the body, soothes the nervous system, boosts stamina & increases energy, promotes overall health, vitality & longevity. Participants in this experiential class will have the opportunity to learn about the 7 single essential oils (Oregano, Thyme, Basil, Wintergreen, Marjoram, Cypress, and Peppermint) and 1 blend (Valor) used in Raindrop Technique. These specific oils support the body’s immune function in a delightfully relaxing manner. In this session, we will be applying the oils to our feet and experiencing the effects while learning about the properties, so please dress accordingly. Our invited guests from Singapore – Hong Chua and Shuli will share this special technique with us on the 11 November at 8pm followed by an Integration and Manifestation Meditation inline with the 11.11.11 special day. This easy-to-follow course is for everybody who likes helping other people – parents who want to support their children when sick, spouses who want to help their partner to relax, friends who want to help others with back pain or injuries – and for massage therapists or body workers who want to practice Raindrop Technique professionally. Many professionals, including chiropractors, massage therapists, osteopaths, reflexologists, and certified aromatherapists have found Raindrop and Vitaflex techniques to be an excellent addition to the repertoire of their practices. What will you learn in this hands-on course? Raindrop Technique – so much more than just a massage! So there is more than 1 Soul Mate for everyone! It has been an exciting August for us and for those who walked through HeartWorks. We were graced by the presence of Elisabeth Jensen, founder of Isis Mystery School to share with us the concept of Soul Mates and Star Soul Mates. Predominantly female participants, they now have a better understanding of what Soul Mates are (apparently we have at least 3 to choose from in our lifetime) and that it does not only limit to a romantic relationship. After a Karmic Release and Manifestation meditation, all who were present know how to hold that special picture in their minds and heart to continue manifesting for good relationships to come into their life. Everyone went home happy and determined with their rose quartz crystal in hand, ready to meet and foster better relationships in their lives. HeartWorks welcomed Sri Mulyadi from Singapore and Rebecca Howe from Hong Kong simultaneously mid August. While Sri was running Isis Healing Circle and Isis Lotus Healing courses, Rebecca was busy receiving eager beaver seeking answers about their direction in life, love solutions and the correct career path through Tarot card reading sessions. With that new energy healers are born and relieved individuals went home grateful to have received solutions and directions from Rebecca. We apologise to those who didn’t manage to get a slot for their readings this time, rest assured, Rebecca will be back again soon! We were also thrilled to welcome Monica Wyss to conduct her Family Constellation session here. Family Constellation is perfect for those who has unresolved issues with families (passed or alive) or even your relationship with money or your faith and spirituality and how it is affecting you – all can be seen and played out in a role playing session. Participants take turns to reveal a particular situation that they need to work on, then describe their family, select individuals to act each family member out including one for yourself and just sit back and watch your life unfold before your eyes. It’s a great way to understand exactly how each person involved feels and a great means for closure, healing and understanding. Definitely recommended! 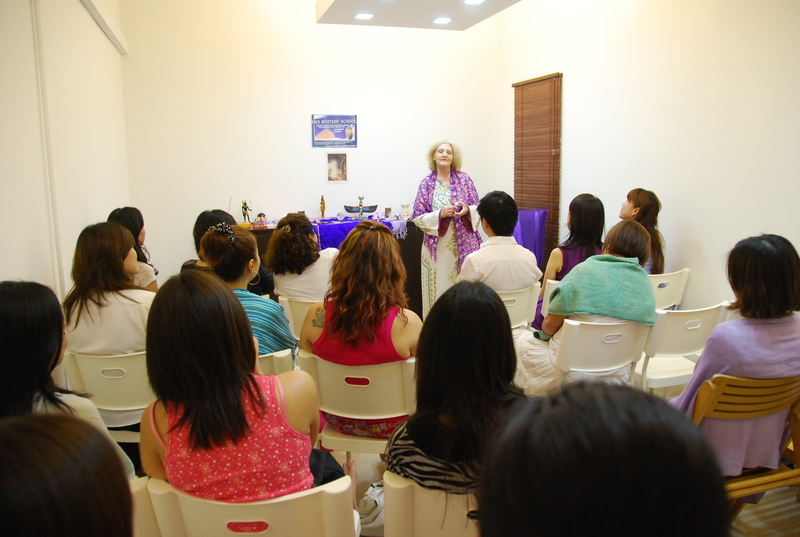 Monika will be back again to conduct a similar session in HeartWorks very soon! If you missed any of these events and want to know more or attend the next one, please drop an email to heartworks.my (@) gmail.com or leave us a comment here. Looking forward to another exciting September and October with free meditation sessions, casual gatherings for Pictionary, Health Talks, Spiritual classes and our very first Retreat! Stay tuned and subscribed by enrolling in our email subscription or click Like on our Facebook page! HeartWorks aims to Enrich all Relationships through Knowledge, Self Empowerment and Healing. Society does not dictate who you are, YOU do.